This post is sponsored by Voyce™! Understand Your Dog Like Never Before™ with Voyce, a wearable band that allows you to monitor your pup’s health and wellness. Click here to get Voyce! The biggest challenge as a dog owner (that all of us can relate to) is the fact that it’s really frustrating that you can’t just talk to your dog one-on-one and have them talk back. I can’t even tell you the number of times I’ve looked at my dog and wondered what he’s thinking. How is he feeling? Is he happy? Well-cared for? What was his life like before he became mine? Oh the questions! As a new pup parent to a rescue dog, it’s even harder to be able to tell how he’s feeling with regard to his health. Add his mellow and even-keeled personality to the mix and there’s absolutely no way to differentiate the ups and downs. In order to be the best pup parent to my lil’ tail-wagger, I decided to do some research. If like me you want to keep your pup in peak health, YOU WILL LOVE WHAT I FOUND. Pup parents, meet what I like to call the best thing to happen to you, your dog and your vet… and say hello to Voyce! 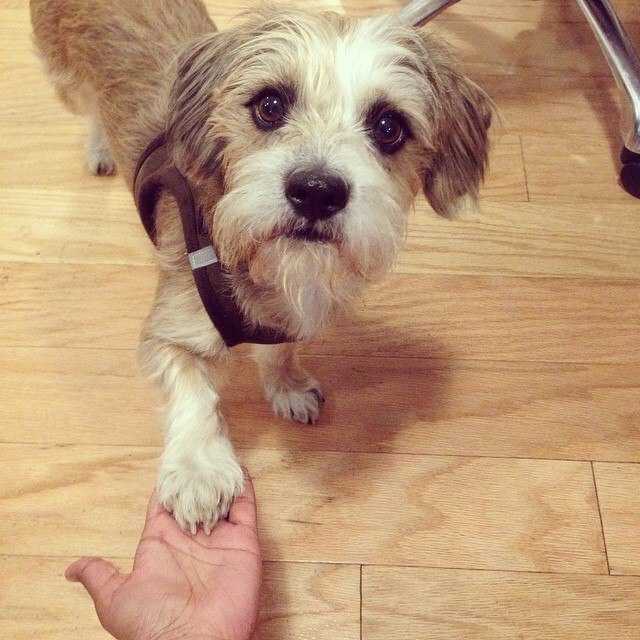 It’s a wearable band for your dog that can help you monitor your dog’s health to a whole. New. Level. And that’s not even an exaggeration. With Voyce, you can monitor: resting heart rate, resting respiratory rate, rest, activity, and calories. You can also check symptoms, receive health reminders, and manage your pup’s ideal weight. Oh wait, I’m not done! You also get access to exclusive articles from vets, nutritionists, behaviorist and trainers who are all experts in their respective fields. Why is this a game-changer? Because all the data that your pup’s wearable band is collecting lives on a dashboard that is accessible via tablet/mobile/desktop and it can be shared with your vet! 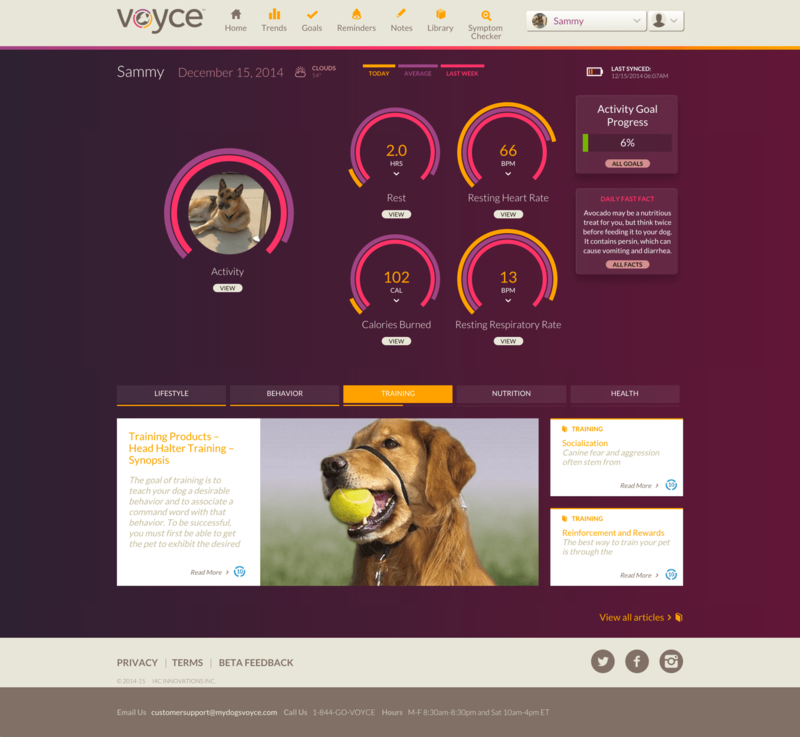 Voyce gives you the information you need to help keep your pup living his best, healthiest life possible. And you know what? Thanks to this wonderful piece of technology, I now know that Benji needs to cut down on his food intake and up his exercising, so he can be the fittest pup in Brooklyn. To get your pup a Voyce, visit MyDogsVoyce.com! Like Voyce on Facebook and get $30 off your Voyce order by entering FB$30 at checkout.